The Jobber Android app is a sidekick to your account, built for your team in the field. Send your clients professional invoices by customizing Jobber invoice templates with your company branding and messaging. With Jobber you’ll be able to invoice all your weekly and monthly appointments in just a few clicks. Your clients are one of the most important parts of your business and that’s why you need an organized client history. With Jobber you’ll see past quotes, jobs, visits, invoices, and a full billing history associated with each of your clients. Are you an employee of a company that uses Jobber? Our Success team can help you get your account connected. Send us an email or give us a call at 1-888-721-111 and we'll help you set up your account. Book your free 20 minute demo. 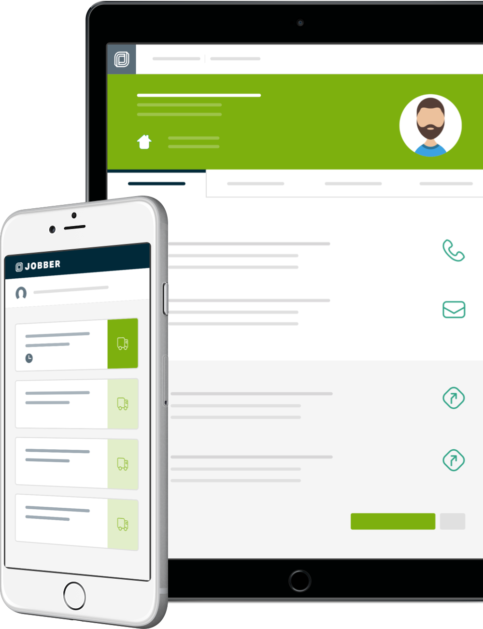 Find out why thousands of business owners trust Jobber to help them run a better service business.